Join us to urge the UK government to prosecute Zardad and other Afghan criminals who are living the UK. NOTE: Heartfelt thanks to all RAWA supporters who sent their letters urging the UK government to investigate Zardad. Your protest letters worked and the British police finally arrested and filed a case against him and the jury found him guilty on 18 July, 2005, and he was sentenced 20 years in prison. Hope this will be a good start and pave the way for prosecution of many other such Afghan wanted criminals in other counties in the West and especially the masters of Zardad like Gulbuddin, Rabbani, Sayyaf, Khalili, Fahim etc. Simpson's World on BBC (Aug. 6,2000) showed Zardad, an Afghan war criminal who is living in London (UK). 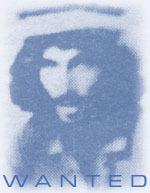 Zardad, a commander of the fundamentalist Islamic Party of Gulbaddin Hekmatyar, is one of the most wanted criminals in Afghanistan. He tortured and killed many of our innocent people in 1992-96 and even before the fall of puppet regime in Afghanistan. RAWA has additional, independent reports of his criminal actions and there are many people who could testify in court about the atrocities committed by Zardad and his boss Gulbaddin Hekmatyar. Join us in calling for the investigation and prosecution of Zardad. Email can be sent to the UK Home Secretary using OUR ONLINE FORM. Or you can FAX FOR FREE RAWA's statement with your own note. Thanks in advance for your support and taking action.